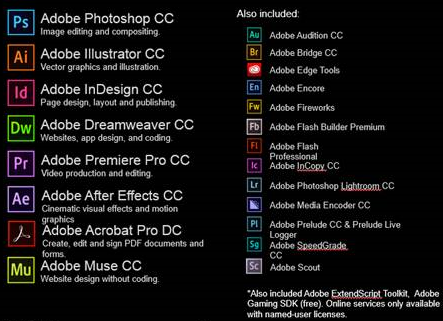 How does the new Adobe Creative Cloud Named license model work? 53. How much do Adobe Photoshop and Illustrator cost? See also: How does the new Adobe Creative Cloud Named license model work? See also: How do I merge documents with Preview in macOS? 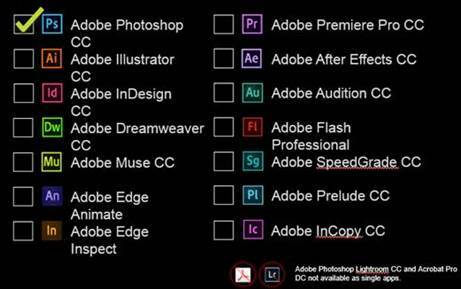 If buying more than one application the Adobe Complete with all applications are cheaper. All applications using the Adobe Campus UU agreement with the ETLA license type has to be removed (uninstalled) from all computers. All Adobe applications without valid license has to be removed. Old perpetual licenses fully paid via one-time fee (Adobe CS3, CS4, CS5, CS6 etc) or within the ELA license type may still be used but not be upgraded. Those softwares are NOT recommended to use due to unpatched security holes! And old software might not work at all on a modern computer OS. You can also rent a program as Single-App, but that cost is more than half of renting All Apps. This means that it will be less expensive to rent the entire suite if you are interested in more than one application. Notice that Acrobat Pro is not required to read PDF-files, fill PDF-forms or create PDF-files. This is possible by combining the freeware Acrobat Reader and Microsoft Office. Some of you may consider finishing your Adobe Campus UU licenses to reduce cost. The Adobe applications must then be removed from your computer. In some cases certain applications can be replaced with earlier versions if they have been bought (not rented). There is no guarantee for how long earlier Adobe versions continue to operated since they may become incompatible with newer versions of Windows and Mac OS. The applications probably contain report functions allowing Adobe to identify and count computers within UU using their applications and relate that to the number of paid licenses. It is therefore risky to keep Adobe applications without paying for the new license. Such cheating may lead to financial claims from Adobe. Dreamweaver We have found no direct replacement, but here is a list of 10 alternatives to Adobe Dreamweaver. Also read the Wikipedia page of Comparison of HTML editors - general information.